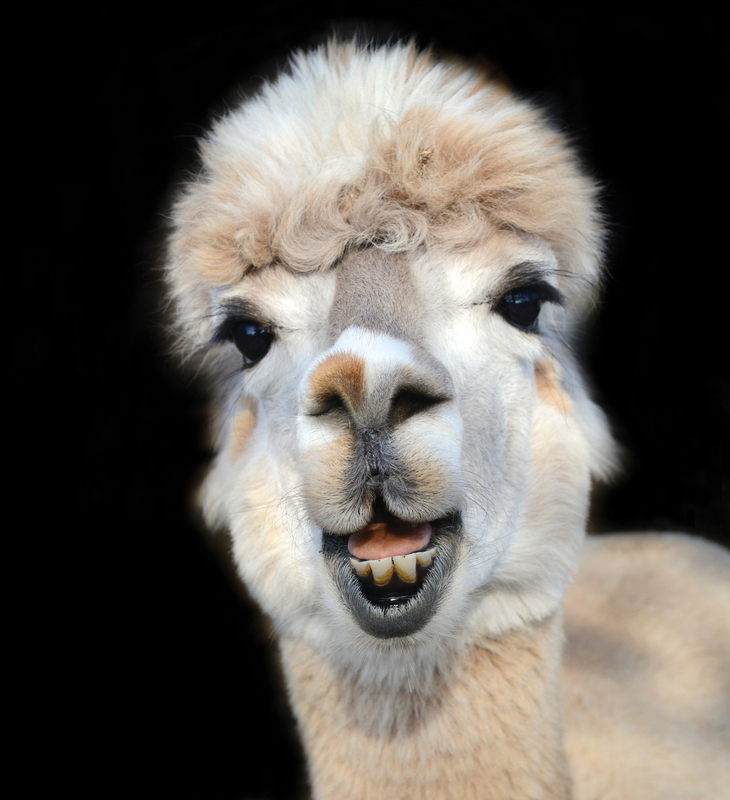 Bobbert, a Huacaya alpaca, likes to express affection by nibbling on clothing. © Traer Scott from Radiant: Farm Animals Up Close and Personal. 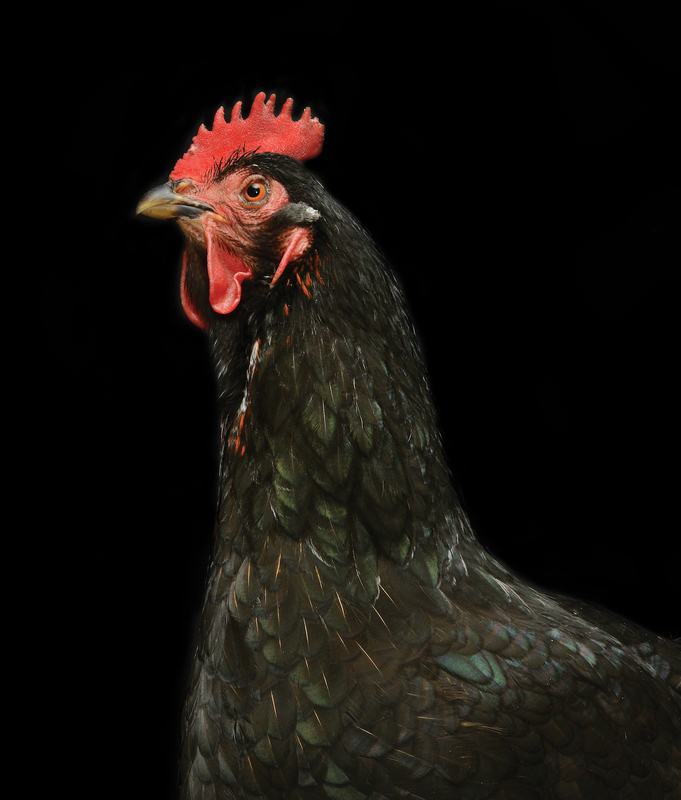 Stella, a Black Star chicken and beloved pet, nearly died after a coyote attack. © Traer Scott from Radiant: Farm Animals Up Close and Personal. Fern, a Randall Lineback cow, is 17 years old and gets along with everyone. © Traer Scott from Radiant: Farm Animals Up Close and Personal. 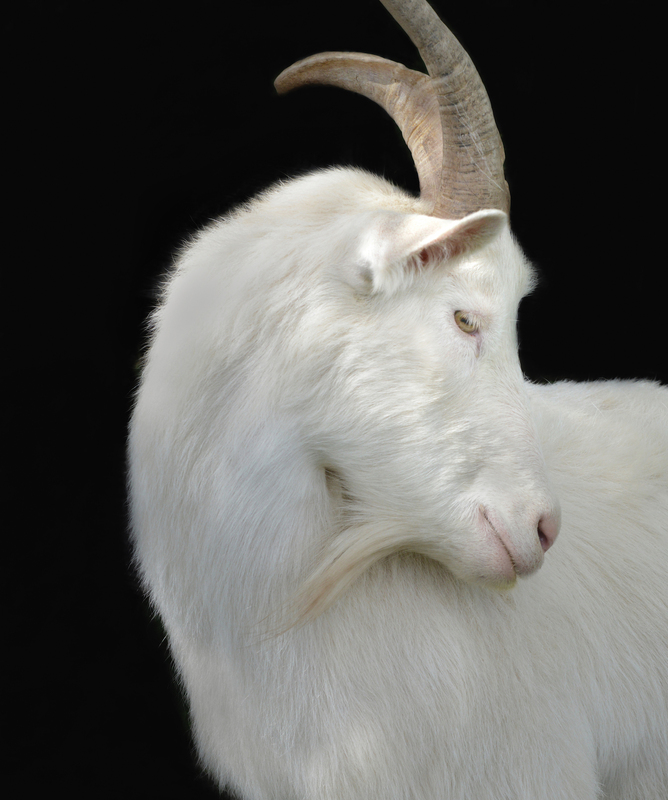 Archie, a Saanen goat, is fond of nibbling the noses of human visitors. © Traer Scott from Radiant: Farm Animals Up Close and Personal. 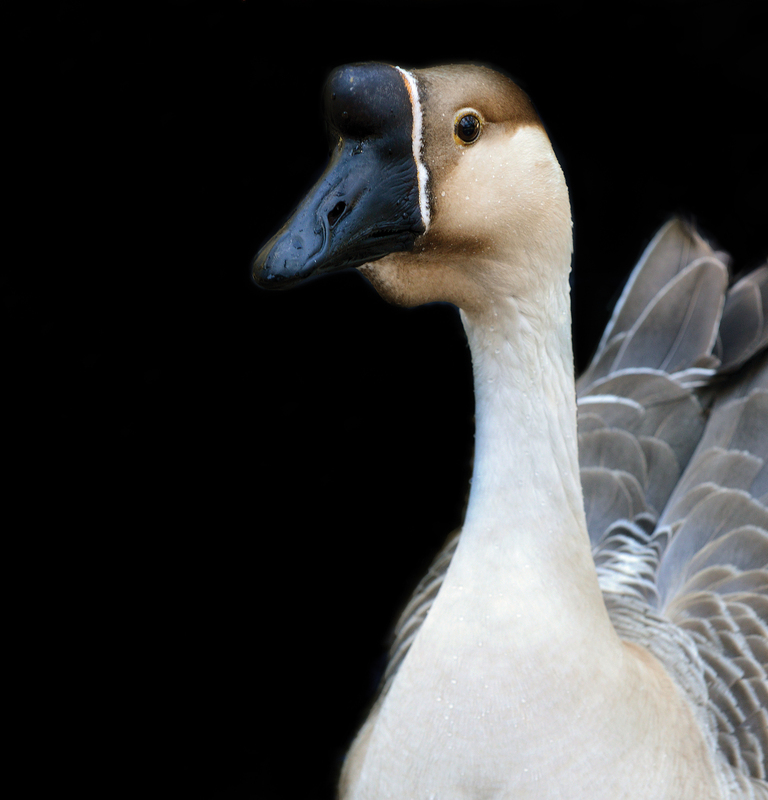 Peng, a Chinese goose, roams the sanctuary along with four other rescued Chinese geese in pairs and small groups. © Traer Scott from Radiant: Farm Animals Up Close and Personal. Lexi, a Berkshire pig, spends her days rooting and soaking in mud puddles. © Traer Scott from Radiant: Farm Animals Up Close and Personal. 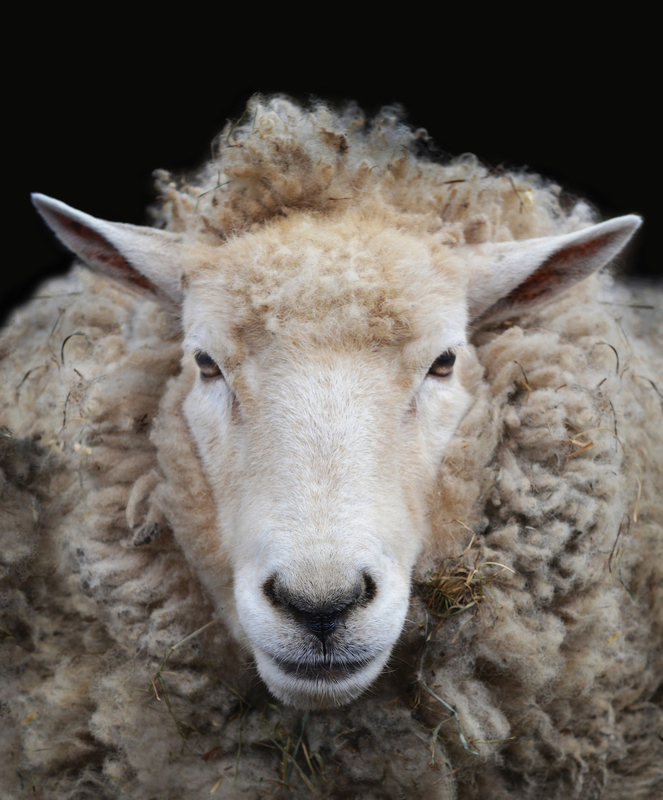 Tara Anna, a Romney sheep, was rescued by police who found her being beaten; she died of old age in 2017 after spending 12 years at a sanctuary. © Traer Scott from Radiant: Farm Animals Up Close and Personal. 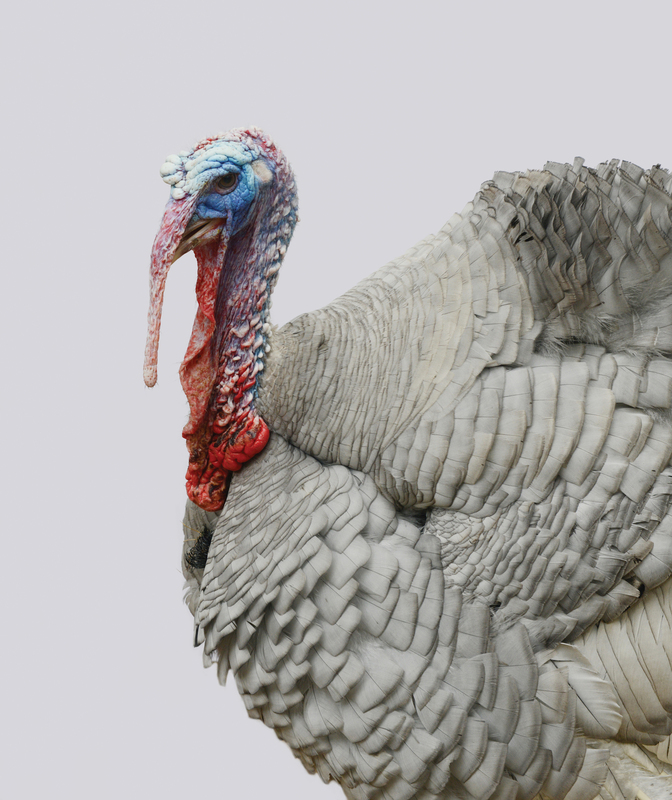 Henri, a Slate Heritage breed turkey, likes to snack on grapes and watermelon. © Traer Scott from Radiant: Farm Animals Up Close and Personal. Inspired by the personalities of the creatures she encountered, Scott photographed the faces of animals who are “generally viewed as numbers rather than individuals”—livestock. Most of her subjects live at farm sanctuaries around the country. These animals, posing against simple black or white backdrops as if they were human models, are accompanied by a few sentences about the breed and a glimpse into the soul of that particular animal. 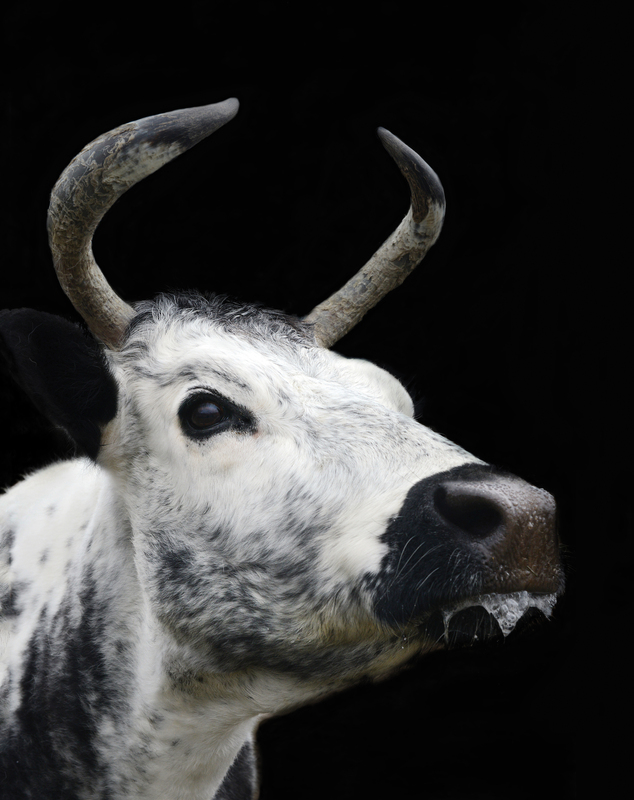 Isaac, a Texas Longhorn cow who suffered abuse, feels most comfortable around goats. 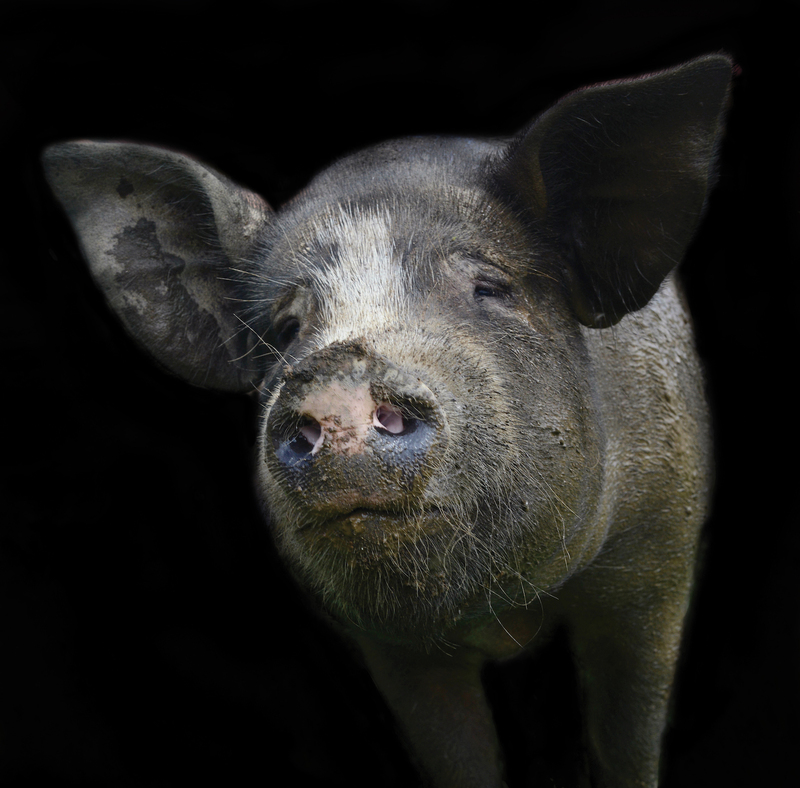 Ben David, a Yorkshire Cross pig (he of the envious lashes) was the runt of his litter. And Huacaya alpaca Bobbert shows affection by nibbling on clothing. Environmental concerns as well as recent books and documentaries about factory farming are changing the way many Americans eat. Scott is taking a different approach by shifting the very way that we see the species that walk this earth alongside us.